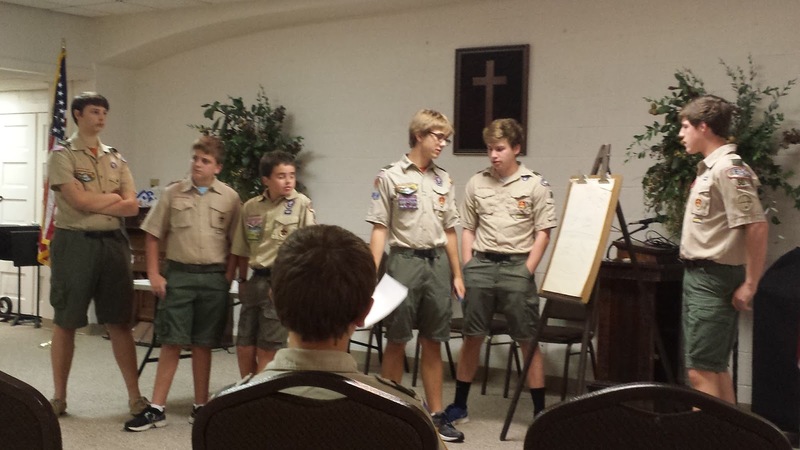 Troop 50 continued its work toward Cooking Merit Badge, which is currently an elective merit badge but will become an Eagle-required merit badge in 2014. Members of the Average Joe's Patrol led the discussion of USDA's MyPlate nutritional guidelines, balanced nutrition, and healthy eating. Later in the meeting, patrols applied the principles of the discussion in creating their meals for the troop campout later this month. Average Joe's Patrol members lead discussion of nutritious menu planning. 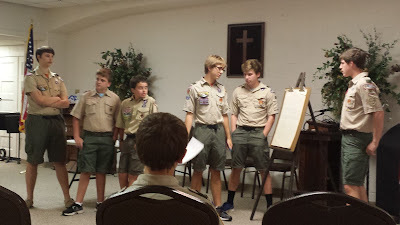 The troop then adjourned for some outdoor instruction that continued the theme of campsite cooking. Assistant Scoutmasters Jason Smith and Davis Baird offered demonstrations of lighting propane lanterns and stoves. 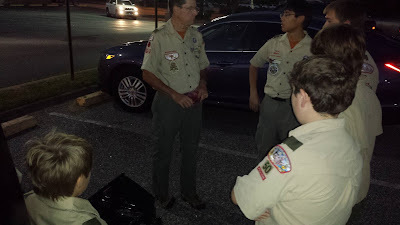 Scoutmaster Baird demonstrated how to operate a liquid-fuel Coleman stove. 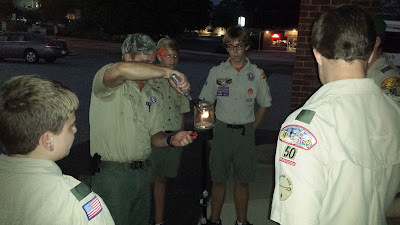 Assistant Scoutmaster Smith demonstrates lighting a propane lantern. 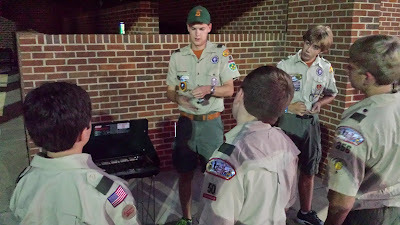 Assistant Scoutmaster Baird discusses propane stove-lighting techniques. Scoutmaster Baird shares the dos and don'ts of operating liquid fuel stoves.